Our λ/10 mirrors are manufactured from fused silica and come standard with an AlSiO coating (aluminum with a protective SiO overcoat). Other coatings for various optical wavelengths available upon request. 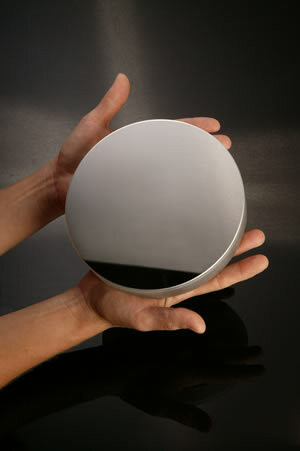 In addition to our in-stock optical mirrors, Advanced Optics provides custom fabrication and free engineering services. We can also provide custom shapes, apply bevels and even drill holes to meet various demanding applications. Need a custom coating? No problem.